Today, everyone was busy developing their individual projects. Our opening is just under a week away so we are all starting to feel the undeniable "inspiration" of time pressure. 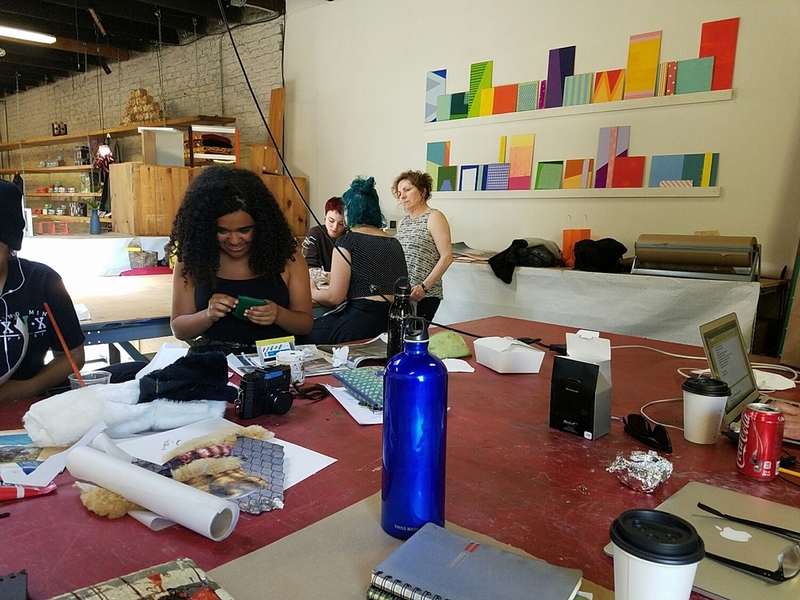 The combination of collaborative artmaking, walks in the neighborhood, getting to know each other over lunch and trips to SCRAP are starting to show as we talk to each other about our work and ideas and lending support. Rosalba on a roll after our morning trek to SCRAP. The studio space we are using in Workshop Residence. Sofia working with geometry and found materials. Lexie and Matthew are considering composition for Lexie's new series.